Candy apples, fair rides, elephant ears and livestock shows…that is what fair season is all about. 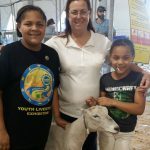 For 8 DeSoto County 4-H youth, fair season extended beyond the county fair this year as they ventured to the Florida State Fair in Tampa. These 8 youth (Jared Deriso, Raegan Kinard, Jayden Lowe, Alex Montalvo, Faith Montalvo, Nevaeh Rayner, Brasaya Wiley and Nariah Wiley) gained additional opportunities to show off their projects and their knowledge as they competed among the best of the best and all came out as winners. 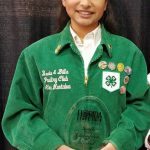 Not only did they succeed in their classes/age categories, they also gained life skills, project knowledge, and communication skills through participating. 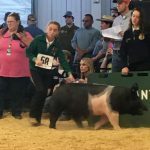 Each of these youth deserves to be recognized for their accomplishments… Jared Deriso and Nevaeh Rayner each participated in the market swine division, showing hogs that weighed 286 and 262 pounds. Each of these 4-H’ers placed 1st in their class with blue ribbons. 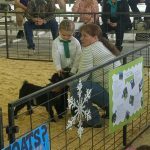 Jayden Lowe and Raegan Kinard showed Pygmy goats, each several 1st place awards and high rankings in Showmanship Classes. 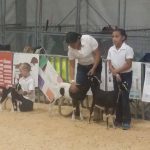 Brasaya and Nariah Wiley showed LaMancha goats bringing home (8) 1st place ribbons, (8) 2nd place ribbons, and (4) 7th place ribbons between the two. 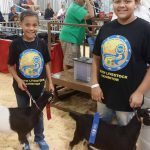 Finally, Alex and Faith Montalvo participated in the Poultry Show. Alex received 1st place honors in Senior Showmanship scoring a 99/100. 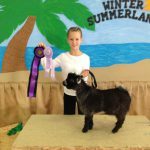 Faith placed 2nd in Intermediate Showmanship and won Intermediate Champion on Champions. 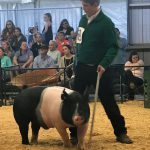 Champion Youth Exhibitors are selected based on the highest number of points accumulated through skill-a-thon and record book skill sets. We would like to congratulate all youth who represented DeSoto County on a job well done! 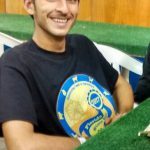 Label your posts. *This step is very important!